Just like anything else in life, having a detailed plan is key to ensure you’re on the right path to create a properly designed room with proper lighting. Before installing recessed lighting, it is important to determine how many lights the space needs. You can easily determine how many watts the area needs by multiplying the square feet of the room (length Xwidth) by 1.5. For example, if your space is 144 sq. ft. you will need 216 watts in the room. Then divide the total number of watts you need in the space by the type of bulb you would like to use in each recessed light. If you want to use a 60-watt bulb, you will need about 4 recessed lights installed in the 144 sq. 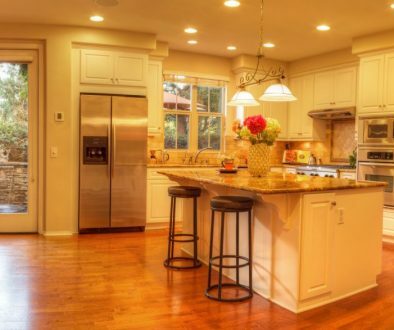 ft. For a customized effect use a combination of recessed lights like narrow-beam lights to highlight specific areas such as counter tops, and wide-angle lights for ambient lighting. Recessed lighting should be spaced evenly throughout the space to ensure the rooms aesthetic is pleasing. After finalizing the layout, you can pick out the style of recessed light you want. Recessed light shave three main components: the housing, the trim, and the light bulb. Each aspect of the component can be custom to the look you want. The trim rings for example come in different colors, finishes, and styles. Prior to selecting the trim style, it is important to consider the housing you need to use and the room you are using the light in. Traditional trim styles include: baffle trim, reflector trim, adjustable trim, lens trim, and decorative. Baffle trim is the most commonly used and feature large uniform grooves on the interior to absorb excess light. Baffle trims are used in living rooms, dining rooms, dens, and bedrooms. Reflector trims have a highly polished interior surface for the maximum reflection and are best used in kitchens or rooms that require a very bright light. If you are lighting task areas such as counter tops or need an accent light for a piece of art the adjustable trim is the best option. The adjustable trim allows you to point the bulb in the direction to highlight a specific area. A lens trim has a piece of glass or plastic over the bulb, a lens trim is best used in rooms with moisture such as bathrooms. Decorative trims are just that, they are used for decoration rather than function. Use decorative lights in areas that are otherwise well lit. It is important to remember that the housing and the trim need to fit together to work, so discuss your selection with a lighting expert to ensure what you choose will fit with your design. 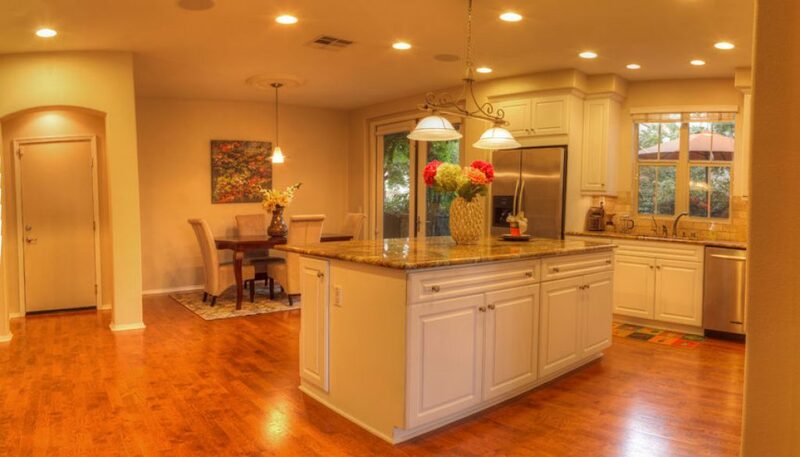 Recessed lights are the perfect housing for LED bulbs, providing the most efficient cost effective lighting option. The housing and the trim of the recessed light must be considered when determining what type of light bulb you would like to use. Prior to settling on the size of the bulb to use ensure the bulb fits with the housing and the trim you’ve selected. Besides LED bulbs, using a dimmer kit on the recessed lighting is another way to make the lights energy efficient, since they allow you to control the amount of light used. Depending on the time of day the lights can be adjusted so they are not using as much electricity. Using dimmers can also maximizes the longevity of the light bulb. Adding recessed lighting to your house is an attraction,functional, and energy efficient solution to your lighting needs. Remember to plan the design of the can lights based on the room size and the wattage of the bulbs, choose the trim design based on the type of room and style. If you have questions on planning your recessed lighting design or would like more information on the topic contact Peterson Electric.